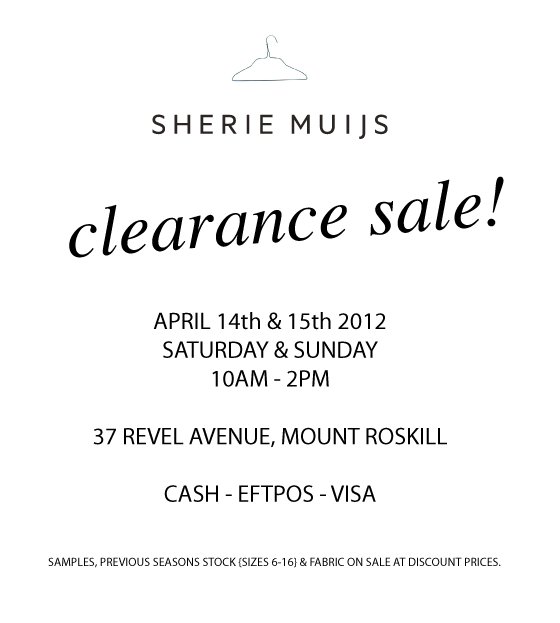 I'm having a little clearance sale this coming weekend and you're all invited. I'll be serving Darjeeling tea and filtered coffee, so come along, rummage through the racks and say hello. Was nice to meet you on Saturday. Love the shirt i bought and your blog! Will have to read Blue Nights.